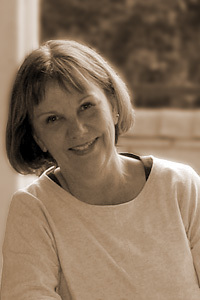 Karla Huston has published poetry, reviews, and interviews in many journals including 5 A.M., MARGIE, Poet Lore, One Trick Pony, Pearl, RATTLE. She has received residencies from The Ragdale Foundation and attended the Bread Loaf Writers’ Conference. In 2003 Huston was named winner of the Main Street Rag chapbook contest. She holds an MA in English and creative writing from the University of Wisconsin, Oshkosh, and currently teaches literature and creative writing at Neenah High School. The author of five poetry chapbooks, most recently Catch and Release (Marsh River Editions, 2005), her new chapbook, An Inventory of Lost Things, is forthcoming from Centennial Press.